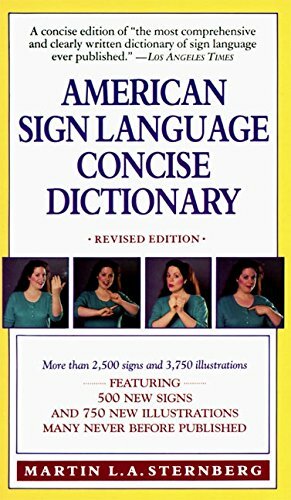 Introducing the first revised edition to the original and most extensive pocket-size American Sign Language dictionary ever published. Included are more than 2,500 of the most widely used words, phrases and idioms in the language, with easy-to-follow illustrations of the hand, arm and facial movements that express each one. Completely updated and modernized, this monumental work introduces 500 new signs that have recently been added to the evolving American Sign Language lexicon.